Harley Quinn has become DC Comics most famous super villain. An unlikely star, Harley Quinn was first created for Batman: The Animated Series in 1992 and has since become a smash hit. Harley Quinn is well known as The Jokers partner and lover. 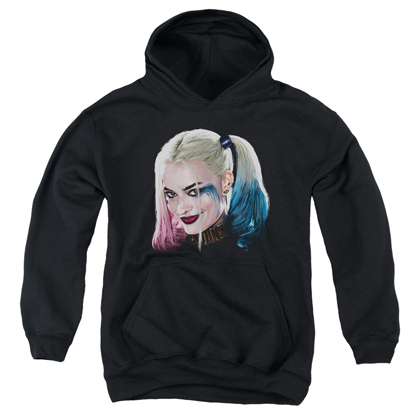 Harley Quinn was most recently made famous by the movie Suicide Squad where she was portrayed by Margot Robbie. 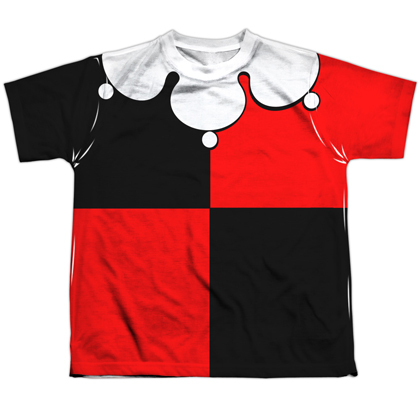 Browse officially licensed womens Harley Quinn kids clothes and shirts below.